Offers a variety of projects for builders of all skill levels to tackle, all accompanied by entertaining commentary about the zombie apocalypse. It's definitely intended for a niche audience, but it should make your prepper Uncle happy this holiday season. We all know the zombie apocalypse is pretty much inevitable at this point, so it’s just plain smart to start preparing yourself now. After all, a well stocked base and some skill in scavenging is really all that will stand between you and a future spent looking for braaaaaiiiinnnss. Lucky for you, Simon Monk has put together a comprehensive guide to staying alive long enough to outlive the zombie virus. 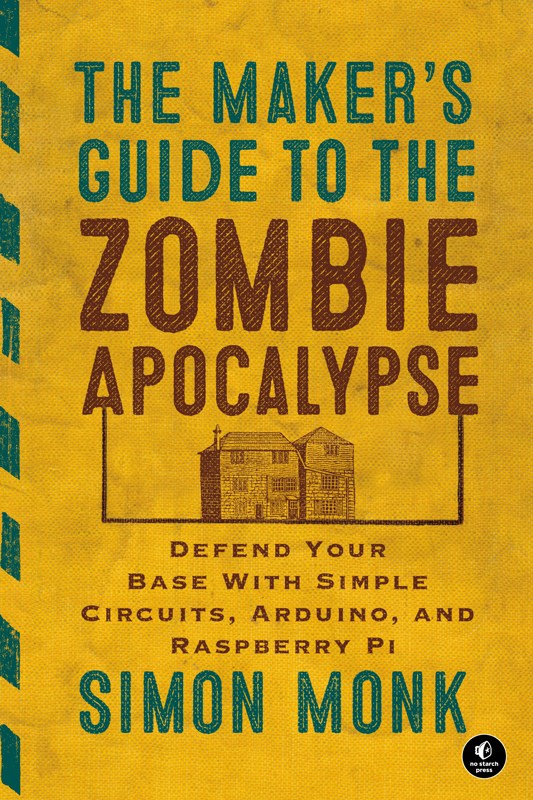 It’s the perfect gift for the prepper, zombie fan, and techie on your list this holiday season. Even if you’re the type to be a little skeptical of the idea that your friends and neighbors will ever turn into flesh-eating monsters, you might find a lot to like in The Maker’s Guide to the Zombie Apocalypse. Designed with the average Joe in mind, so the projects in it are accessible for just about anyone to attempt. 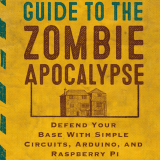 There are clear step-by-step instructions, supply lists that include where to find parts both pre and post apocalypse, and even some extra “basics” instructions in the back of the book for the true beginners. The book is set up in various sections, beginning with simple projects that build on each other to create the more sophisticated projects at the end of the book. After all, before you can set up a wireless communication system, you’ll need to figure out to get power. Because this a zombie type book, most of the projects fall under the apocalypse heading (and the book stays well in that theme, with amusing commentary accompanying each one. That being said, anyone who likes to tinker will enjoy these projects, even if they don’t believe a zombie threat is imminent. The Maker’s Guide to the Zombie Apocalypse takes an entertaining view of the apocalypse, giving readers a chance to try out tons of helpful projects well before doom is nigh. 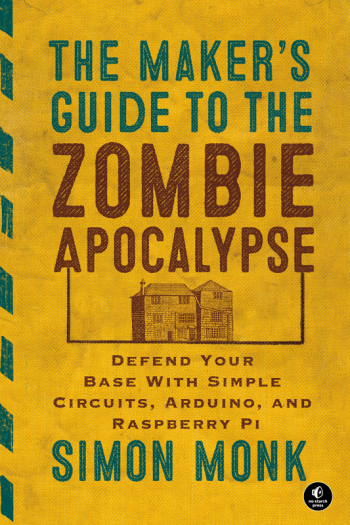 It’s the perfect gift for that hard-to-buy for zombie fan, prepper, or tinkerer in your life.